My father, who grew up poor, was the first in his family to go to college. After three years as a scholarship student at a military high school in the Southwest, he earned an appointment to the United States Military Academy. His time at West Point gave him the foundation for a life his parents could only dream of. My dad was quietly proud of his formal education and all that it afforded him. His time at West Point as a student and later as a teacher gave him entrée to a world far beyond the small town where he grew up. As much as he appreciated his formal education, my father also knew the value of lessons learned outside the classroom. My parents made sure that life lessons were ongoing in our house. My mother took us to museums, galleries and the theater. My father pressed me into service for all his home-improvement projects. I spent long hours during my 11th summer helping him build and install a fence around our yard. That was the summer I learned how to operate power tools and to curse like a sailor. It was around that time that I began to take a real interest in cooking. Because my mother was a full-time artist, cooking wasn’t high on her list of priorities. My most influential culinary mentors were all on TV. Julia Child, Graham Kerr and all the Great Chefs taught me not only how to cook but how food brought people together, how food really did equal love. More than anyone else, my grandmother guided my early education in the kitchen. She taught me basic skills that stay with me to this day. 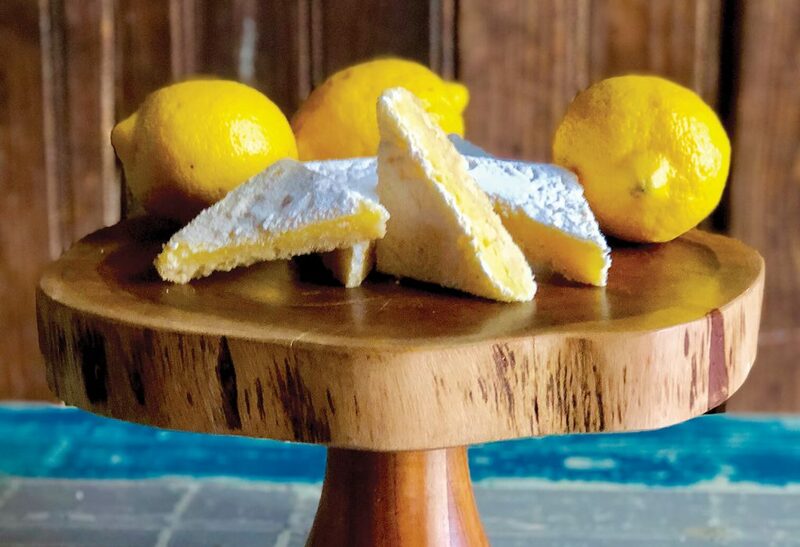 Her recipes, like this one for lemon bars, were uncomplicated and simply delicious. While my father taught me life lessons that helped me navigate the outside world, my grandmother—his mother—guided my early education in the kitchen. She taught me basic skills that stay with me to this day. Her recipes, like this one for lemon bars, were uncomplicated and simply delicious. • Read a new recipe through twice before you start to cook. • Sharpen your knives often. • A little wine for the chef never hurt. These old-fashioned favorites are light and airy, the perfect sweet for the end of any meal. 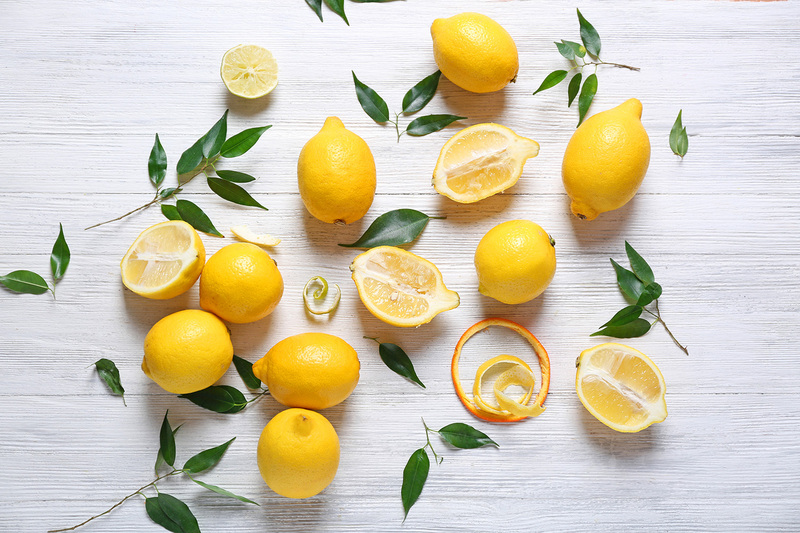 Fresh lemon juice and zest are the key to their lemony zing. Grease a 9” x 13” baking pan. Combine 1 1/2 cups of flour and 1/2 cup confectioners sugar. Cut in butter until mixture resembles coarse sand. Distribute mixture in greased baking pan and gently pat down to form a crust. Zest lemons, you should have about 1 tablespoon. Juice lemons to yield 1/3 cup. Beat eggs with mixer on high speed until thickened, about 3 minutes. 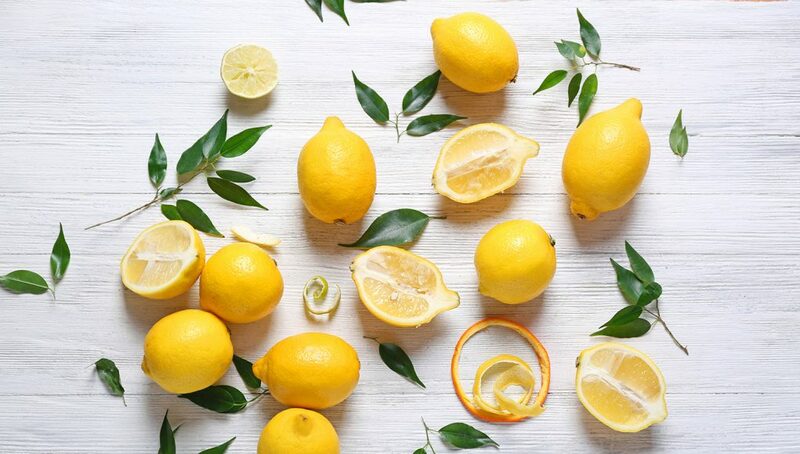 On low speed, slowly add lemon juice, lemon zest, granulated sugar, salt, baking powder and 3 tablespoons of flour. Scrape the sides of the bowl and mix until thoroughly blended. Pour filling over the crust and bake until filling is set, about 15 minutes. Set on wire rack to cool. When cool, dust with remaining confectioners sugar. Risotto can be a heavenly side dish when you’re serving fish or chicken. Or make it a main course by incorporating shrimp or lobster as this recipe does. 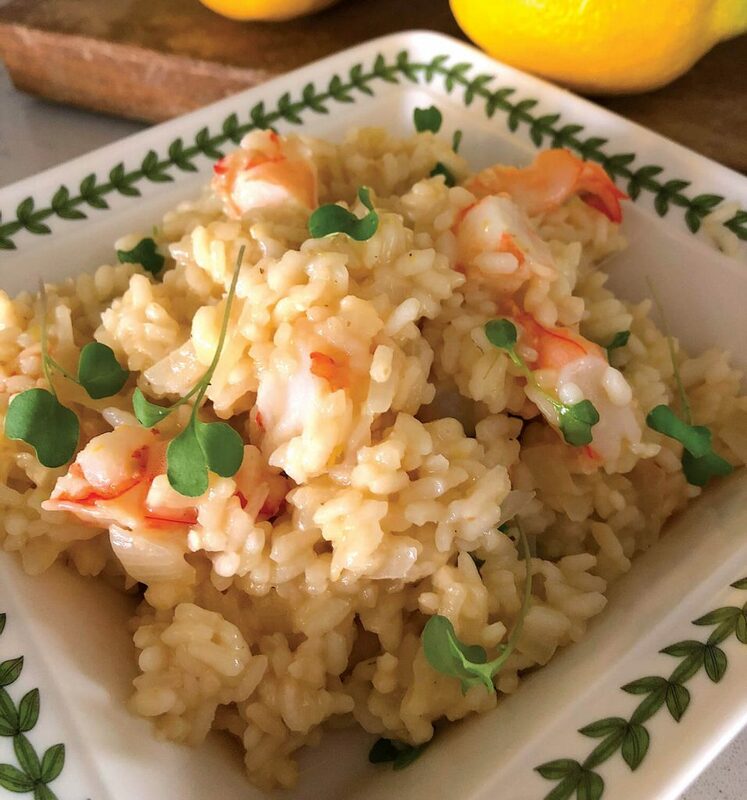 Risotto requires attention as it cooks, but since it’s mostly just watching and stirring, it means you can chat and share a glass of wine with your guests while you cook. Bring broth to a gentle simmer in a saucepan. In a large saucepan, heat butter and oil over medium heat. Add onions and cook until soft and translucent. Add minced garlic and cook for one more minute. Add rice and stir to coat, cook for about 3 minutes. Slowly add wine, stirring continuously until it is absorbed. Add about a half a cup of broth and stir until it is absorbed. Continue adding broth, half a cup at a time. Add 1/2 cup of hot broth, stirring as it is absorbed. Continue adding hot broth, stirring continuously for about 15 minutes, until rice is creamy but still firm. Add shrimp, lemon juice and half the lemon zest and cook until heated through. Add Parmesan cheese and mix thoroughly. Remove from heat and garnish with remaining lemon zest and micro greens or parsley. Previous articleMy Oh Mai Tai!